Temperatures have been rising and we’re all dreaming of spending our days on the beach. Drinking buko juice on a hammock after a nice dip in the ocean. I’ve been on an iced mocha rampage the past weeks, but I had to take it easy on the coffee since it started to trigger slight dizziness when I have coffee too often. I had an unforgettable iced mocha from La Colombe in New York last year and I am trying to find the closest version here in Manila. It’s the perfect balance of coffee, milk, bittersweet chocolate and ice in a cup. I’m a big fan of dark chocolate so it’s not a sticky sweet drink. Yardstick Coffee created a #bettermochamovement with a hot or iced version. I did enjoy their iced mocha, but there was still a little too much milk in there for me. I also tried their dirty chai (part chai and a shot of espresso) but I didn’t expect the chai to be blended with vanilla ice cream and then the espresso shot served separately. It’s a great idea as a milkshake, but it was not what I wanted after a heavy meal. Maybe for another day. On other days, I still look for Tea Tap Cafe’s Peachy Yakult when I feel like having a sweeter drink. Those small bottles of Yakult in the grocery are just not enough, so it’s fun to have it in larger quantities. 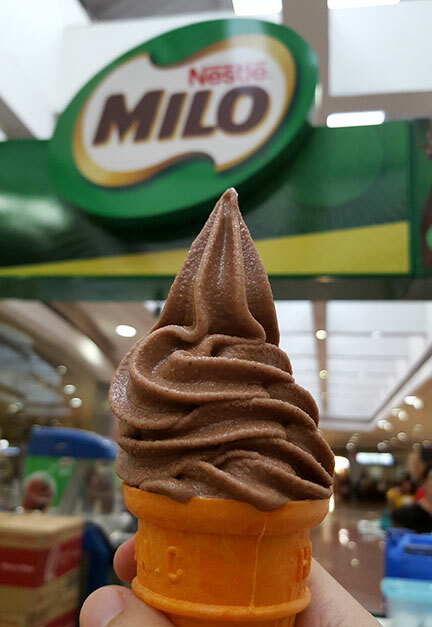 The best cheap thrill I finally got to try in the mall is the Milo soft serve on a cone. It was like a gold mine to find a stall in Robinson’s Galleria, it feels like they’re not easily available in all malls nowadays. Sure, there are artisanal ice cream versions of Milo but this is the closest to having a frozen Milo beverage. Let’s not forget the most important beverage of all: water! 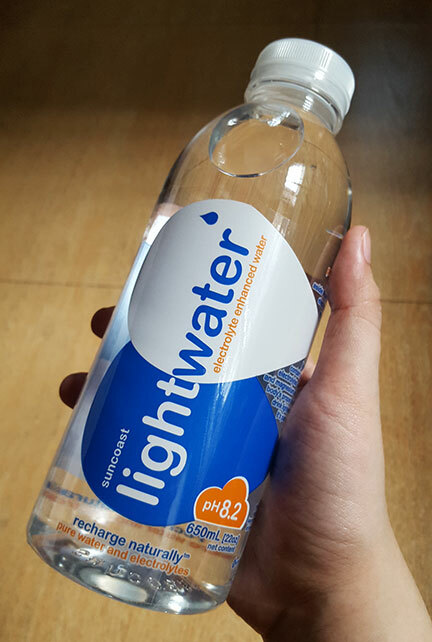 Hydration is key to surviving the sweltering heat, and I never leave home without my trusty bottle of Light Water, an alternative to other commercial sports drinks out there because it’s packed with electrolytes sans the funky coloring and sugar.